Breakfast: I think I burned out working yesterday. I have nothing in me to finish up today! I got up in the morning and replaced the kitchen sink cartridge. We use our sink a lot and the cartridges don’t last long enough. We may need to switch to an industrial faucet. I had an old gold crown fall out this weekend. Fortunately the tooth didn’t bother me but I made an appointment with the dentist for today. I had to cancel recording a new radio show for today as a result. 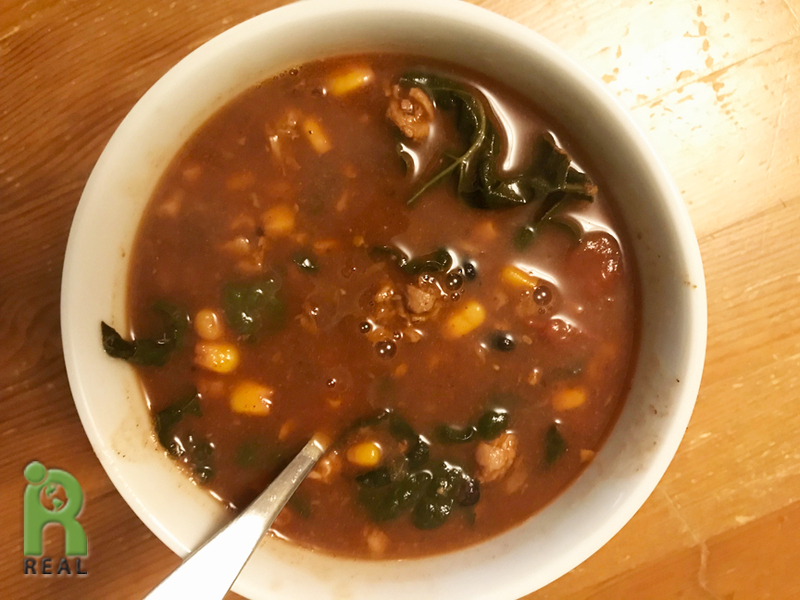 I finally finished up the never ending Black Bean Stew. I added a little water to it making it more of a soup. I like eating beans every day. Dinner: I may not have had the motivation to put time into the project I have been trying to finish but that didn’t mean I was idle! My trip to the dentist was fruitful. He repaired and replaced my gold crown and filled in the area that had worn away. I like reusing rather than replacing! My 2011 MacBookPro crashed a few weeks ago. Apple won’t repair old machines any more or make replacement parts for them. I removed the logic board and sent it to Powerbook Medic for repair. It came back today and I successfully installed it! We are back up and running. Another repair rather than replace win for me. 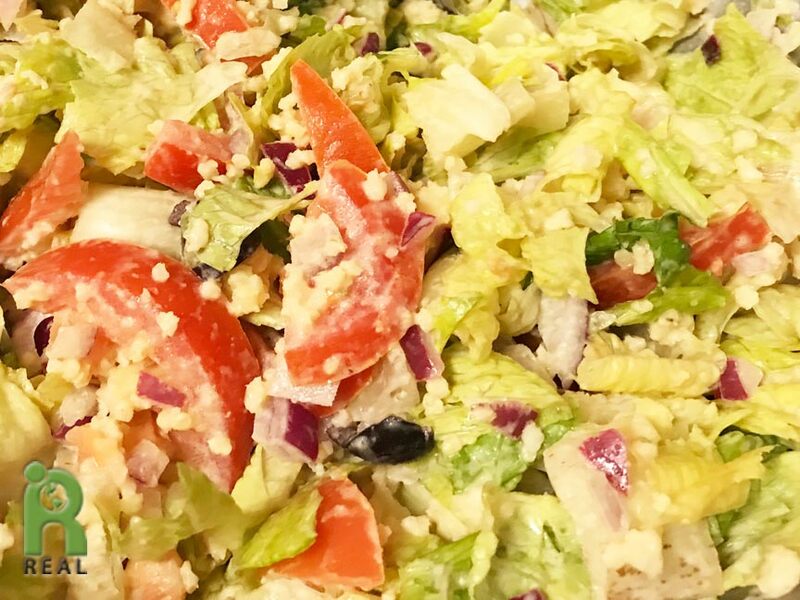 We sat down for a celebratory meal starting with Romaine Lettuce Salad with Millet, Red Onions, Tomatoes, Olives and Tahini Dressing. 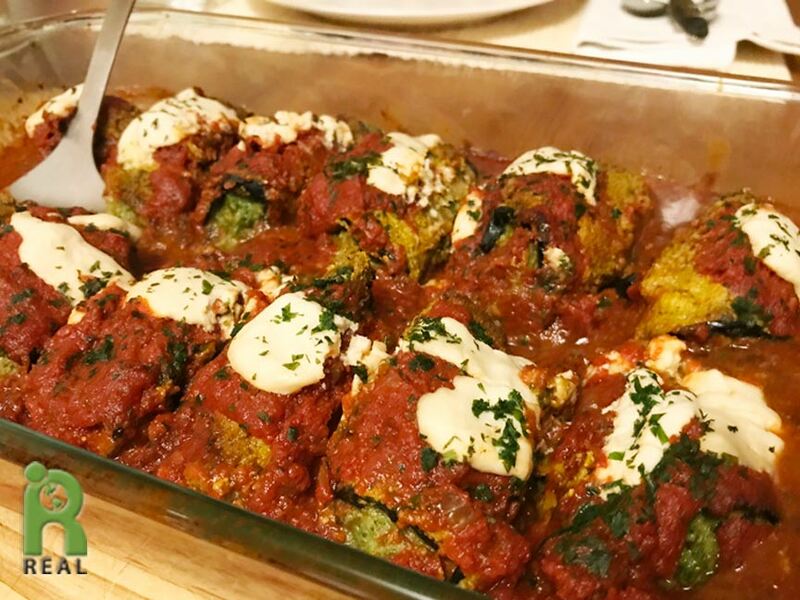 The Eggplant Rollantini we created last week was defrosted and heated in the oven. It was the prefect gift from us to us. This is an amazing recipe, rich and rewarding.